Made with Acacia veneers and solids finished in a trendy textured antique white color. Dovetailed drawers feature fully finished drawer boxes and metal ball bearing side glides. B647-77 and -78 shelter styled panel bed features a louvered headboard panel. 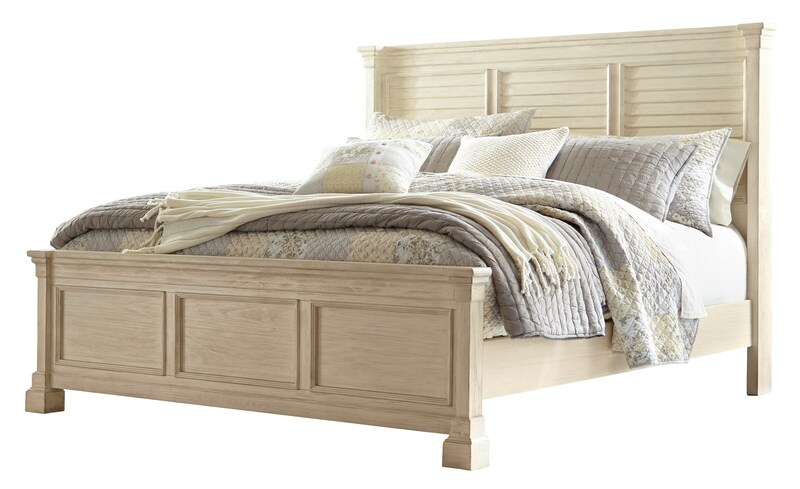 Whether your style is farmhouse fresh, shabby chic or country cottage, you’ll find the Bolanburg King bed dressed to impress. Its two-tone, gently distressed finish pairs weathered oak with antique white for that much more quaint character.